Here is the link to part 1 of the Kings Island's Banshee Takes Flight story posted on April 24th, 2014 for NPN readers who may have missed it. There are lots of positive "Gs" throughout the ride, and the change up on the flat spin near the end is disorienting in a very fun sort of way. Even with its forcefulness, Banshee is very reridable for the average park guest. The slow-motion roll at the end of the ride is a wonderful surprise for first-time riders. All day long trains returned to applause and cheers. Rob Decker, led the creative team that helped bring about the Banshee experience. He tells us that due to the popularity of the Halloween season, Cedar Fair is revisiting names like Possessed and Banshee. He believes the hill is haunted, "because it's on the Internet." When you enjoy the queue experience, it's due to the Cedar Fair team effort. Banshee doesn't let up in either the speed or the forcefulness throughout the ride. And every time you go upside down it's the beginning of another great drop with airtime. The radius of the pullouts is tight and intense. The majestic elements have fast transitions with no time to pause/catch your breathe throughout the entire ride. Even with the massive size of the elements, they still deliver a wonderful forcefulness that reminds you that this is not a family coaster. Sophie Bolliger gives a us a few words on how privileged they felt to be changing the skyline of Kings Island. They have created yet another masterpiece, by utilizing the terrain in a unique way. The improvement in the restraints is also appreciated. While the Banshee exit is close to the newly renamed Bat, if the timing is right, you can get a great views of either ride from the other one. Here is your front seat ride on Banshee, courtesy of Kings island. Spoiler alert, if you would like to be surprised on your first ride, this gives it all away. Our thanks to Jeff, who took us behind the fence for some better views of Banshee. 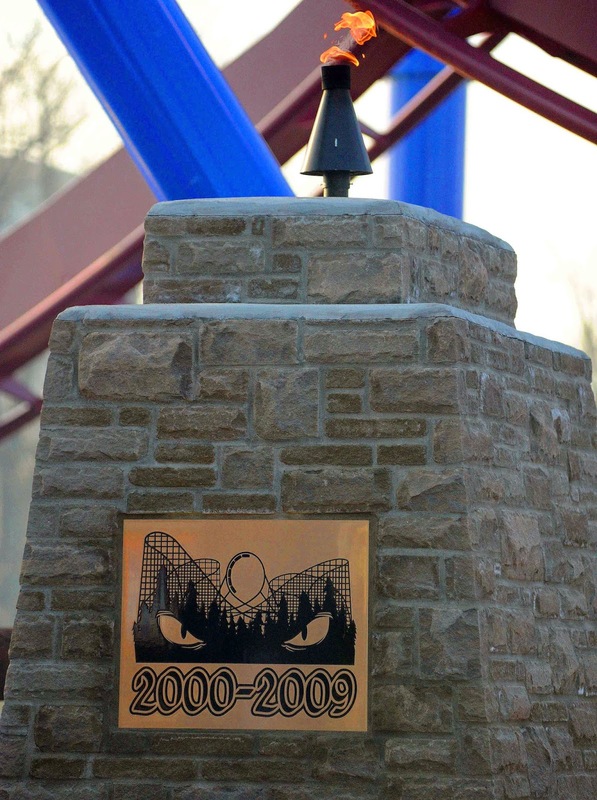 The eternal flame for Son of Beast is a nice touch. Some riders still carry a torch for the ride, but now Kings Island allows you to relight it when you pass through the queue for Banshee. 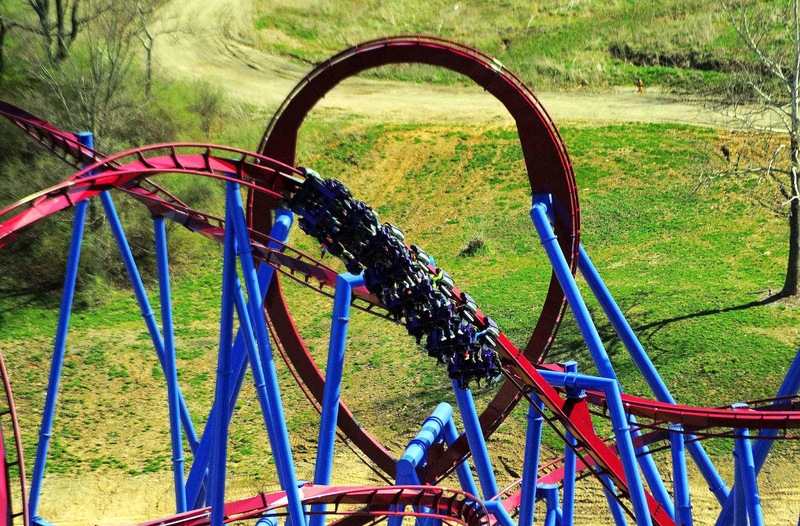 Whatever you felt about Son of Beast, you will remember it.